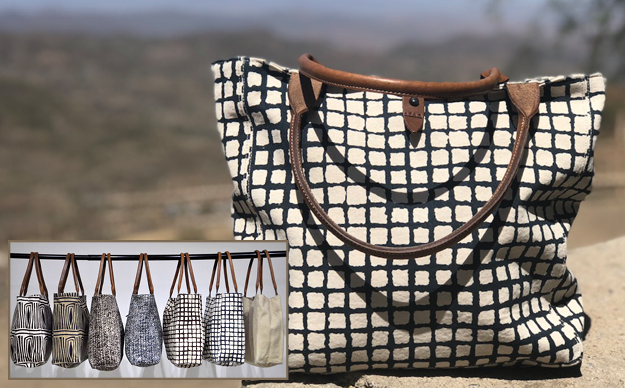 The Safari tote is beautifully made of sturdy, multiple ply cotton canvas with leather and horn detail. 2 interior pockets and fully lined. The natural look of the bags is due to tinting with natural pigments extracted from the colorful African soil. Pair with our fully lined pouches and cosmetic bags. Gently spot clean.